affectionate side! EUGENIE isn’t your typical black and white kitty, she also has a unique pattern in her fur which adds to her beauty! 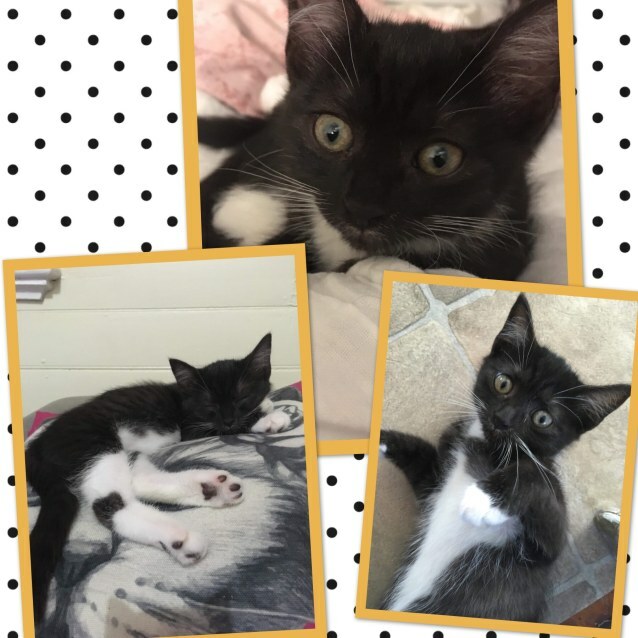 EUGENIE is fully litter trained, loves other cats, not fussed about dogs or about what food is on the menu.